The medical information program is provided by Teladoc. Terms and Conditions: Teladoc does not replace the primary care physician. Teladoc does not guarantee that a prescription will be written. Teladoc operates subject to state regulation and may not be available in certain states. Teladoc does not prescribe DEA controlled substances, non-therapeutic drugs and certain other drugs which may be harmful because of their potential for abuse. Teladoc physicians reserve the right to deny care for potential misuse of services. Teladoc phone consultations are available 24 hours, 7 days a week while video consultations are available during the hours of 7am to 9pm, 7 days a week. Consultations are not available in Oklahoma or Massachusetts. Video Consultations are not available in Idaho, Iowa, Louisiana, Oklahoma, Massachusetts or Texas. © 2012 Teladoc, Inc. All rights reserved. Teladoc and the Teladoc logo are registered trademarks of Teladoc, Inc. and may not be used without written permission. The physician discounts are provided by Multiplan/Private Health Care Systems. *This program does not include access to MultiPlan/PHCS Network hospitals or physician assistants. This product is not available in MA. The lab discounts are provided by DirectLabs. This product is not available in FL, HI, MA, MD, NY, NJ and RI. The prescription discounts are provided by MedImpact. Identity Monitoring & Restoration from InfoArmor: Members and eligible dependents receive a comprehensive and proactive defense against identity theft. Privacy Armor services include SNAPD Identity Monitoring and Privacy Advocate Restoration. *This program is available to the primary member plus up to four (4) additional family members living in the household. Access to a pre-recorded health information library consisting of over 1,100 topics. *There are over 600 audio health library topics available in Spanish. The nurse line program is provided by Carenet. The dental care discounts are provided by Careington International Corporation. This plan is not insurance. The vision discounts are provided by VSP Choice Access® Plan. Product not available in MT, VT and WA. By using the HearPO network of over 2,700 locations throughout the nation, members can save on hearing aids, as well as a 30% discount off of diagnostic services which include hearing exams, and 1 year of free batteries (80 cell per hearing aid). Lowest Price Guarantee*: If you should find a lower price at another local provider, we’ll gladly beat that price by 5%. *Competitor coupon required for verification of price and model. Limited to manufacturers offered through the HearPO program. Local Provider quotes only will be matched. Diabetes Management Discounts from Better Living Now: Save 20% to 30% on durable medical equipment and 20% to 40% on disposable medical supplies. Life Insurance Quotes Referral from Efinancial: Clients can shop and compare life insurance quotes from the nation’s top-rated carriers. Efinancial works closely to assist members who are searching for affordable life insurance coverage. Chiropractic and Alternative Medicine Plus Fitness Discounts from ChooseHealthy: Save 25% off normal fees for services and receive discounts on health and wellness products. Weight Loss Surgery from the Gastric Banding Panel Group: A $1,000 discount off the regular price for gastric banding weight loss surgery. The imaging network services are provided by US Imaging. *Not all locations may accept orders from other countries. Please notify scheduling specialist in advance so they can verify if participating providers will accept such orders. This product is not available in HI, VT and WY. THIS PLAN IS NOT INSURANCE. THIS IS NOT A MEDICARE PRESCRIPTION DRUG PLAN. * This plan does not meet the minimum creditable coverage requirements under M.G.L. c. 111M and 956 CMR 5.00. The plan provides discounts at certain health care providers for medical services. The range of discounts will vary depending on the type of provider and service. The plan does not make payments directly to the providers of medical services. Plan members are obligated to pay for all health care services but will receive a discount from those health care providers who have contracted with the discount medical plan organization. 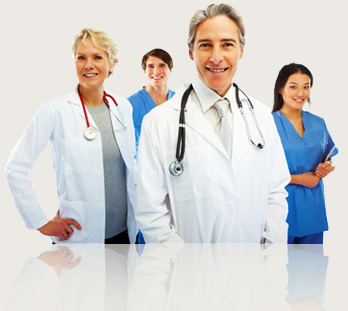 You may access a list of participating health care providers at this website. Upon request the plan will make available a written list of participating health care providers. You have the right to cancel within the first 30 days after receipt of membership materials and receive a full refund, less a nominal processing fee (nominal fee for MD residents is $5). Discount Medical Plan Organization and administrator: Careington International Corporation, 7400 Gaylord Parkway, Frisco, TX 75034; phone 800-441-0380. The program and its administrators have no liability for providing or guaranteeing service by providers or the quality of service rendered by providers. This program is not available in Montana and Vermont. This plan is not currently available in Washington. *Medicare statement applies to MD residents when pharmacy discounts are part of program.